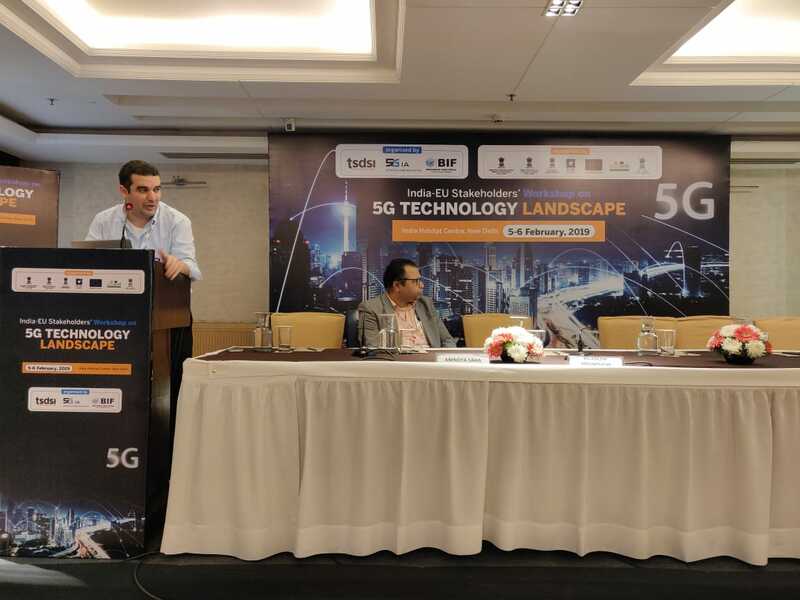 Dr. Belkacem Mouhouche, technical manager of 5G-Xcast, represented the project during the India-EU Stakeholders Workshop on 5G Technology Landscape organized by Telecommunications Standards Development Society, India (TSDSI) together with the 5G Infrastructure Association (5GIA) and Broadband India Forum (BIF). The workshop, held 5-6 February in New Delhi, provided delegates from different 5G-PPP European projects (IoRL, 5GMoNArcH, Sat5G, NGPaas and gave the opportunity to meet experts from the EU and India geographies, to share their experiences and explore areas of mutual collaboration. 5G-Xcast gave a talk on the “The role of broadcast in 5G networks” and participated in a Panel about the possible use cases where point to multipoint transmissions could be efficient to use.